Well hasn’t this been a funky month? After the official podcast at the start of the month (which seems to be coming a firm favourite among the regular listeners out there), you were treated to a special funky number last week with a bit of a twist to it. It’s now time to move on to the third and final treat for December, wrapping up the year just nicely. 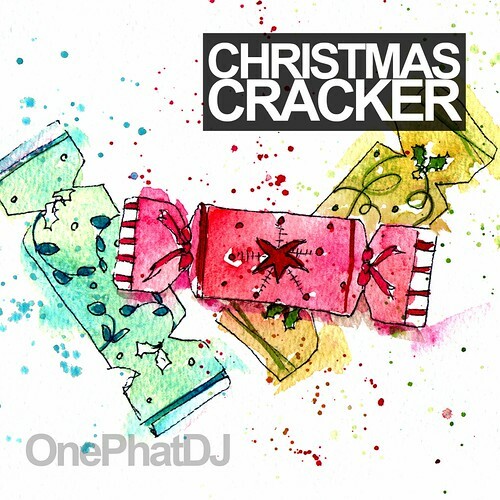 As a way of a Christmas present from One Phat DJ, let’s go out with a bang with a Christmas Cracker! Bobby D’Ambrosio kicks off the festive proceedings with a remix of the Christmas classic “O Christmas Tree“, sang beautifully by the lovely Jamelle Jones. We then get straight in to the mincemeat of the mix with some full on upbeat vocal treats from our carol singers Nicole Tyler, Vee Scott and Amaya Amaya. Following the Hed Kandi favourites comes some commercial elves in the form of One Phat Favourite Georgie Porgie, lovely Rihanna and the latest phenomena from stateside, J Holiday. If that’s not enough for you, we get all psyched up with some huge tunes from Eddie Armani, DJ Dervish and the rather aptly named Holy Rollers. Clubland’s favourite Chanel makes a welcome return with her latest offering “Dance” to get you up off your arses for a good boogie while Fish & Chips drop a cheeky sample from the classic Spiller track “Groovejet” into the mix. Hernandez & Tyo treat you to a final big tune full of energy and vocals before we wrap up the whole gift with a remix of Eartha Kitt‘s “Santa Baby” courtesy of our good friend from Manchester DJ Cruze. With all that said and downloaded, you should all be sorted for the holiday season. There will be parties aplenty I’m sure so make sure you bang Christmas Cracker on while you’re warming up or even while you’re out. I can’t make it to Louise Nihad’s birthday party so this mix is dedicated to her and all our Yahoo! friends – have a great party guys! All that is left to say is Merry Christmas and to have One Phat New Year! Superb selection – some proper funky numbers in that mix. Love it! !